Do you recognize Pony Daring Doo from the cartoon "My little pony"? This is a very brave and honest pony who loves traveling full of adventure and fun moments. Since it is very important to be well dressed in comfortable clothes on a hike, it is very important to watch your equipment and the outfit on her. After all, if she forgets about it, then in this way she will add difficulties to herself in the wild and then she will not be in a good mood. In this Pony Daring Doo Dress Up game, you can help prepare for this human pony to prepare an outfit for another adventure. Start by choosing a costume. This is one of the important parts of this beauty's outfit. Next, look at the shoes. It must protect the feet from rough soil and be durable. In addition, you need to choose an excellent hat that will protect from the scorching sun. Of course, all these things should be stylish and not look ridiculous. If you're a fan of playing pony dress up games, then be sure to look at the hundreds of dressmakers on the fungirlsgames.net site. There are a lot of games and they are very cool. You can see for yourself and enjoy a couple of them. Played: 3042. Added: 29-11-2018, 09:47. 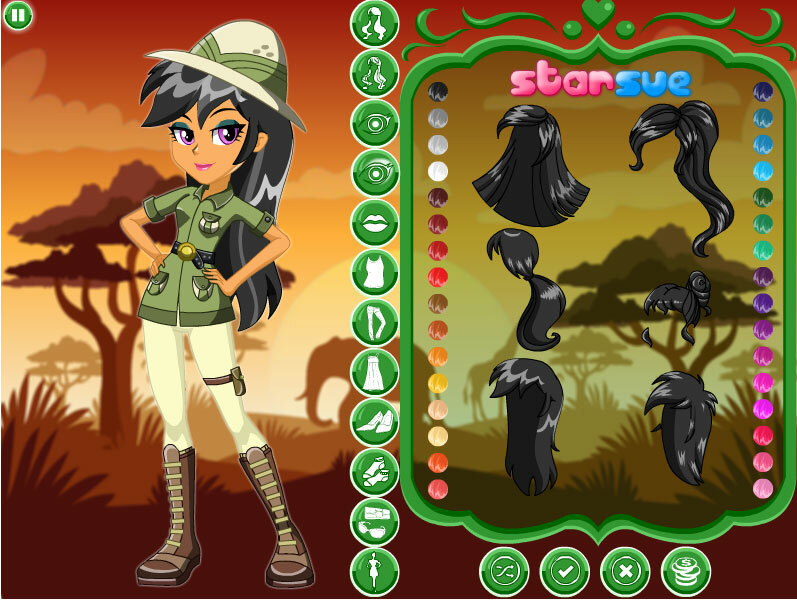 Equestria Girls Daring Do Dress Up game. A new outfit for Daring Do pony.